Rockingham’s Steam Transport and Family Show was cancelled due to ground conditions after this year’s persistent inclement weather. NAC had hoped to be there to put on our Have-a-Go. 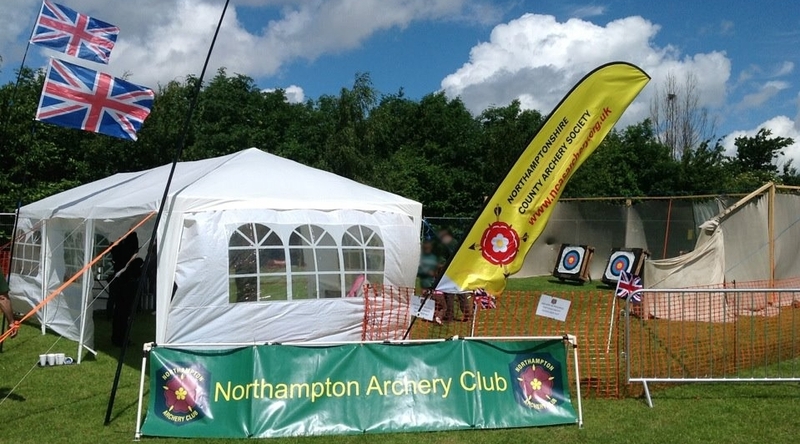 However the club had also been approached by our county’s Archery GB rep. to provide a similar input at Wootton’s “Walk in the Park” on the same day, Saturday 30th June. The cancellation at Rockingham, several phone calls and some swift re-arranging by our now flexible club, meant that it would could oblige the request for Wootton. A miserable wet start to Saturday morning greeted our volunteers arriving at 8am to prepare our range. The rain thankfully was short lived and apart from a further downpour towards the end of the day, the event went very well with crowds of potential archers having-a-go. 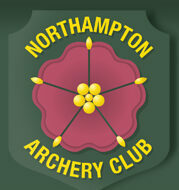 A remarkable number of our club members came along to help – and a splendid time was had by all. Thanks to all who supported us and also to Ronnie for the photo.